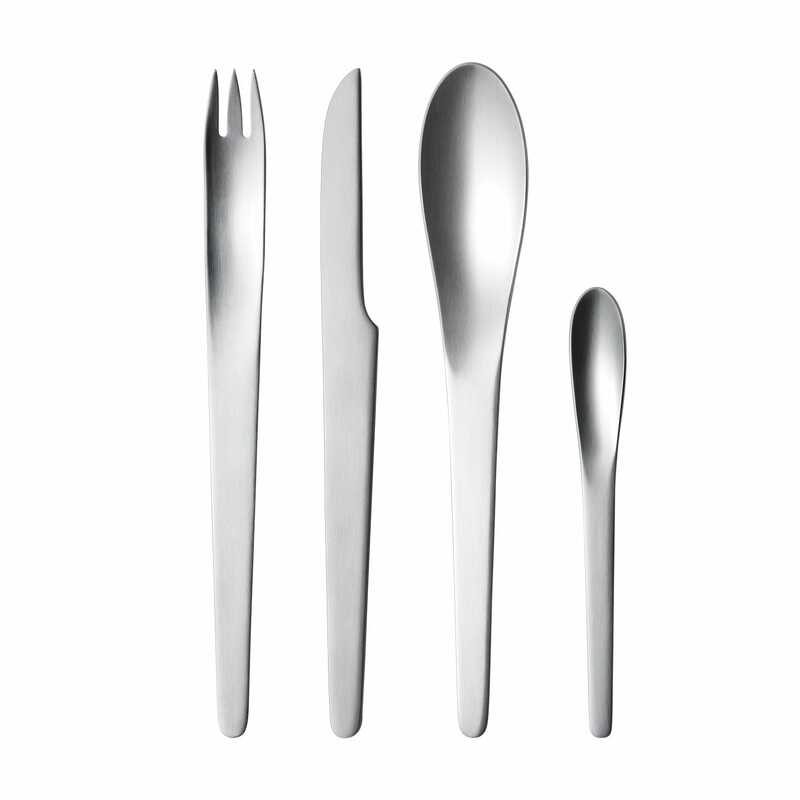 Elegant and understated, Arne Jacobsen's contemporary take on cutlery blends mirror finish with simple silhouettes. This 24 piece set contains six table forks, table knives, dessert spoons and tea spoon each of which is made from heavy gauged, high quality stainless steel each and features a tapered handle that fits gently in the palm. Designed in 1957 by the iconic Arne Jacobsen. Simple and sleek, the contemporary form of this collection is shown in its soft rounded lines, tapered neck and mirror finish. Exquisitely worked from stainless steel, this gleaming collection will become a fixture of family get-togethers and formal dinners for years to come and is beautifully presented in presentation gift box. Set contains 6 dinner knives, 6 dinner forks, 6 dinner spoons and 6 teaspoons. Wash and dry the cutlery shortly after use. Wipe dry after dishwasher use.